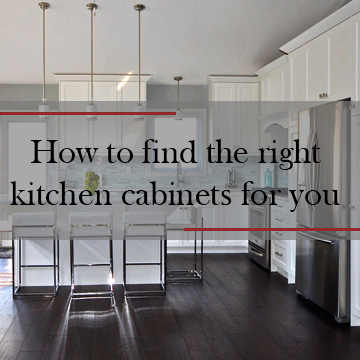 With so many options of kitchen styles to choose from, how do you find the right one for your home? Finding a style that fits your needs, desires and aesthetic preferences is not always an easy task. The kitchen is the hub of your home, a place to not only cook and eat but to entertain, gather and to even work. Whether its large or small, picking the right style for you is important. A new kitchen is a big investment, so it has to stand the test of time. It used to be that you would match your kitchen to the style of your house – rustic, or country style for cottages, for instance, and shiny, modern designs for new builds. But now picking from both modern and traditional can give you a kitchen that is timeless and practical. Modern kitchens are usually sleek and simple. Imagine no moldings on doors or slab door cabinets. An emphasis on the materials used for construction: granite or concrete countertops, stainless steel appliances, glass backsplash and finishes ranging from matte to shiny. Traditional kitchens are usually defined by their detail and are usually made of wood. Imagine decorative moldings, wooden doors, countertops, and ‘antique’ finishes. Transitional kitchens take the best of both worlds and combine features from both styles to suit your personal taste and needs. A shaker-style, with minimal lines is a prime example of a mix of classic and contemporary.